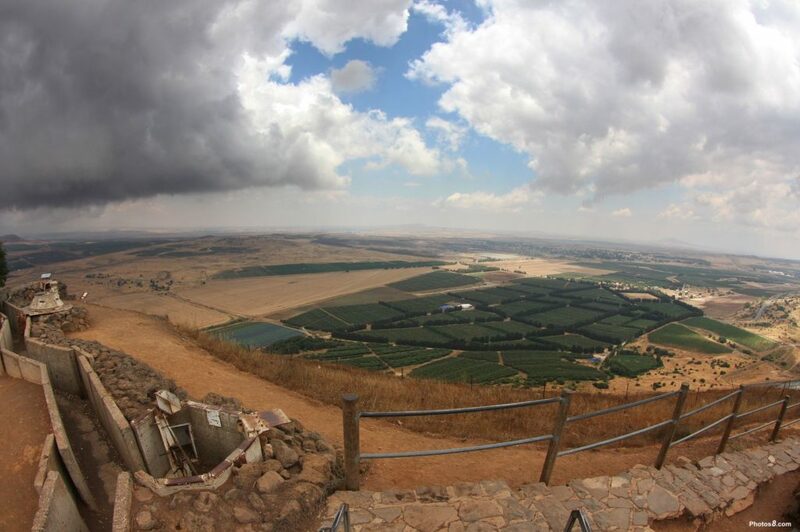 Opinion: Golan Heights Should Remain Part of Israel | The Gettysburgian. President Trump recently announced that he intends to recognize Israeli sovereignty over the Golan Heights. This announcement falls in line with President Trump’s established pro-Israel foreign policy. Yet, just like when President Trump recognized Jerusalem as Israel’s capital in 2017, various media outlets and politicians were quick to denounce Trump’s actions as a diplomatic blunder. Why is Israeli sovereignty over the Golan Heights so damaging? Provided with historical context, I see no better option than Israeli control over the Golan Heights. The Jewish people have historically suffered fierce persecution. In the beginning of the twentieth century, a movement called Zionism encouraged Jews to migrate to British Palestine in order to avoid persecution at home. The native Arab population resisted the influx of Jews. Subsequently, British-controlled Palestine witnessed a series of Arab uprisings and open hostilities between the two peoples. In the hopes of quelling the violence, the United Nations divided part of British Palestine into two states, Israel and Palestine. The Arab nations surrounding the newly formed Israel were infuriated and immediately set out to destroy the infant state. In 1948, Lebanon, Syria, Iraq, Trans-Jordan, and Egypt launched a coordinated war against the fledgling nation, but in a stunning upset, Israel prevailed. During the war, Israel captured the western part of Jerusalem and much of Palestine. In 1967, Egyptian dictator Gamal Abdel Nasser formed another Arab coalition to, in his own words, “destroy Israel”. As any reasonable nation state would do, Israel preemptively attacked Egypt, Syria, and Jordan. In what is known as the Six-Day War, Israel soundly defeated the Arab coalition and seized the Golan Heights from Syria, the West Bank from Jordan, and the Gaza Strip in addition to the entire Sinai Peninsula from Egypt. Soon after the war, the Arab states met in Khartoum, Sudan and crafted the Khartoum Resolution, in which they proclaimed, “no peace with Israel, no recognition of Israel, and no negotiations with Israel.” Till this day, countries like Iran and militant groups like Hezbollah and Hamas call for the destruction of the Jewish State. Although Israel has seized a large amount of territory from its neighbors, it has historically ceded land in exchange for peace. In 1978, Israel gave the entire Sinai Peninsula back to Egypt and, in 2005, Israel returned the Gaza Strip to the Palestinian authorities. Unfortunately, it has become quite clear that the Palestinian leadership in Gaza, Hamas, had no intention of living in harmony as they continue to launch missile strikes and coordinate terrorist attacks in Israel. Provided with the historical context, is it so wrong to support Israeli sovereignty over the Golan Heights? Should Israel, a country which has only acted in self-defense and has demonstrated that they only wish to live in peace, control the Golan Heights? Or should the land be given back to Syria, a country which remains embroiled in a civil war? To me, the answer is clear. It is entirely possible that the heights could fall into the hands of Hezbollah, the Islamic State, or other jihadist militias that dream of Israel’s destruction. The Golan Heights would become the next Gaza Strip and serve as a base for endless attacks. Israeli control over the Golan Heights promotes peace in the region, the protection of a stable democracy, and the preservation of an entire people. President Trump was correct to offer American backing to Israel’s claim and should continue to make support of Israel a fixture of United States foreign policy.